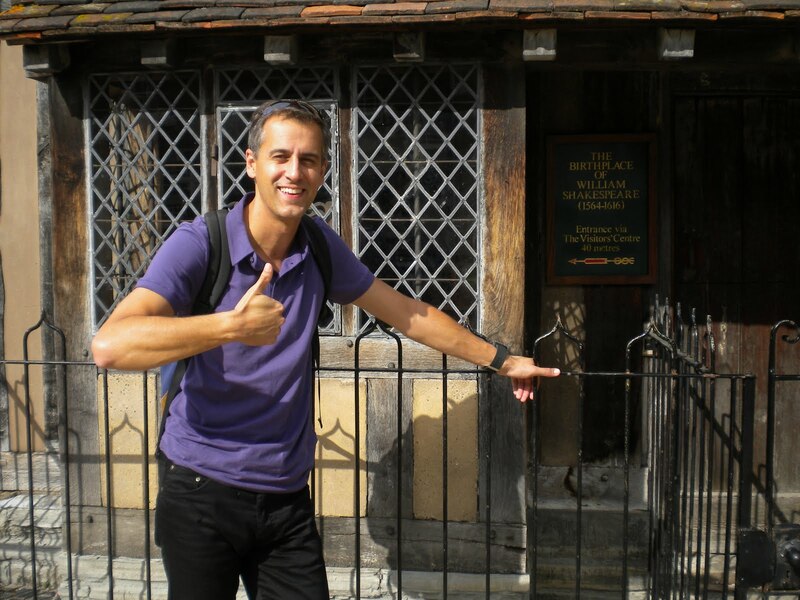 As a self-described writer and English teacher, I felt it would be beneficial to visit Stratford-upon-Avon when I was in England. That place is famous for only one reason. It's where William Shakespeare was born, lived and died. A high percentage of the town is devoted to the memory of "The Bard," and I felt I was in the midst of one of his tragedies when I was there. At first, my emotions ran high when I stumbled across his birthplace (see above photo). "Aww, how cute," I thought. "Baby Shakespeare cooing in iambic pentameter!" 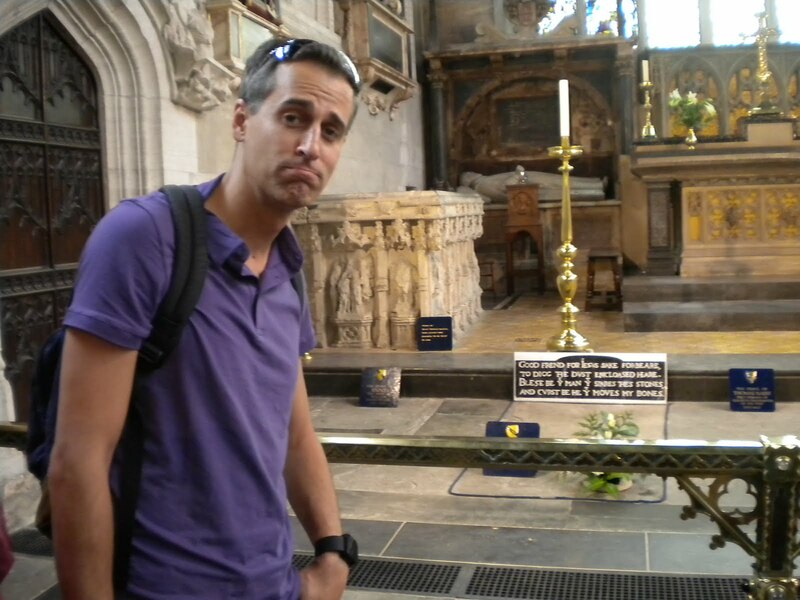 Then, things took an unexpected turn when I bumped into Shakespeare's grave. As I entered an ornate Church, I saw a large arrow that pronounced: "SHAKESPEARE'S GRAVE THIS WAY." 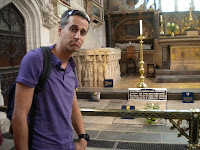 When I followed the arrow, I met a man who said loudly, "IT WILL BE ONE POUND, FIFTY TO SEE SHAKESPEARE'S GRAVE!" 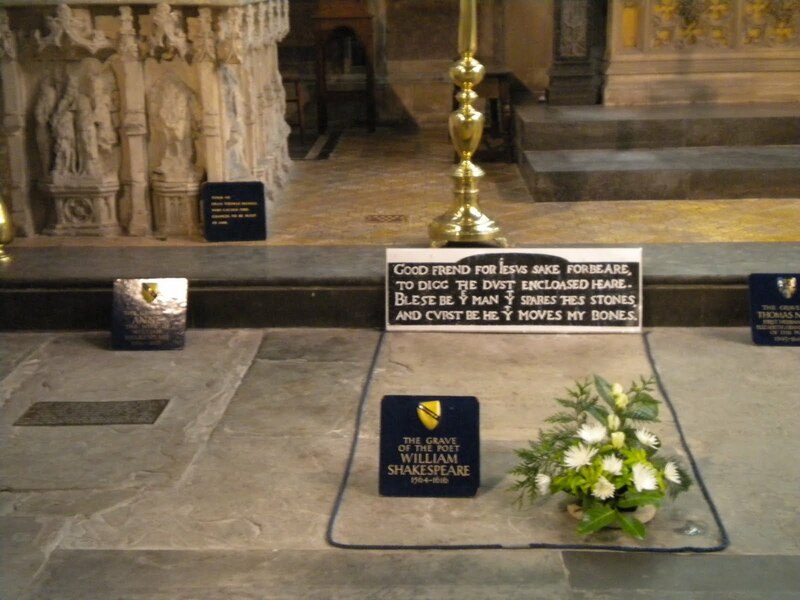 I paid the fee, and the man yelled, "SHAKESPEARE'S GRAVE IS TO YOUR LEFT. PLEASE FEEL FREE TO TAKE PHOTOGRAPHS AS YOU VISIT THE BARD'S RESTING PLACE. THANK YOU FOR YOUR PATRONAGE!" I never felt less in a Church than I did at Shakespeare's grave because of the screaming man. Crowds hovered around The Bard's grave until I finally had a moment to ponder what it truly meant to be so close to Shakespeare's skeleton. Later, I saw a play called "The Winter's Tale" performed by the Royal Shakespeare Company, which boasts Ian McKellen, Judi Dench, Kenneth Branagh and Ralph Fiennes as alumni. Snooze Button Generation review: The production and acting from the Royal Shakespeare Company were superb. The company did nothing wrong and put on an excellent and memorable production. If there were any problem, it was with Shakespeare antiquated dialogue. Granted, he wrote "The Winter's Tale" around 1600, and his words may be poetic. But I question a 15-minute soliloquy when the point this: "Dang, I think that ho cheated on me."